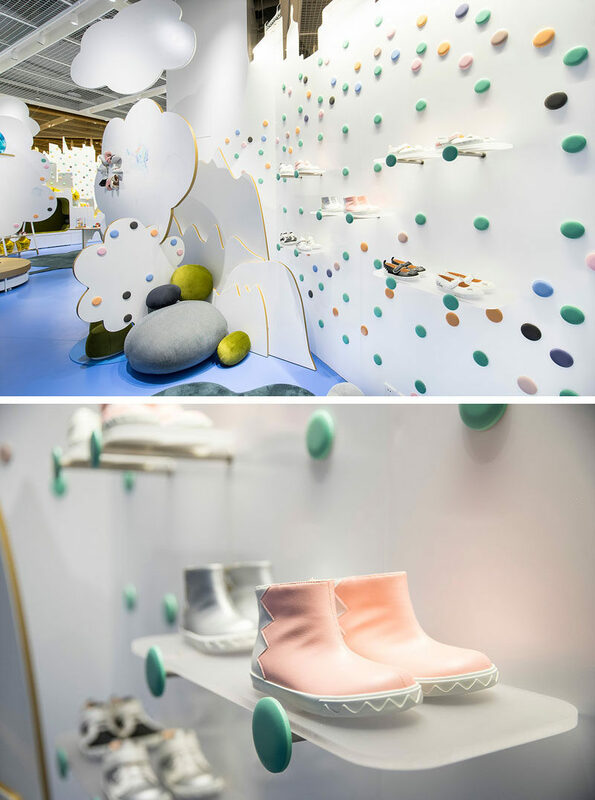 PRISM DESIGN have recently completed Fly Pony, a new children’s shoe store in Shanghai, China, that is full of wonder and represents a story of a young child. 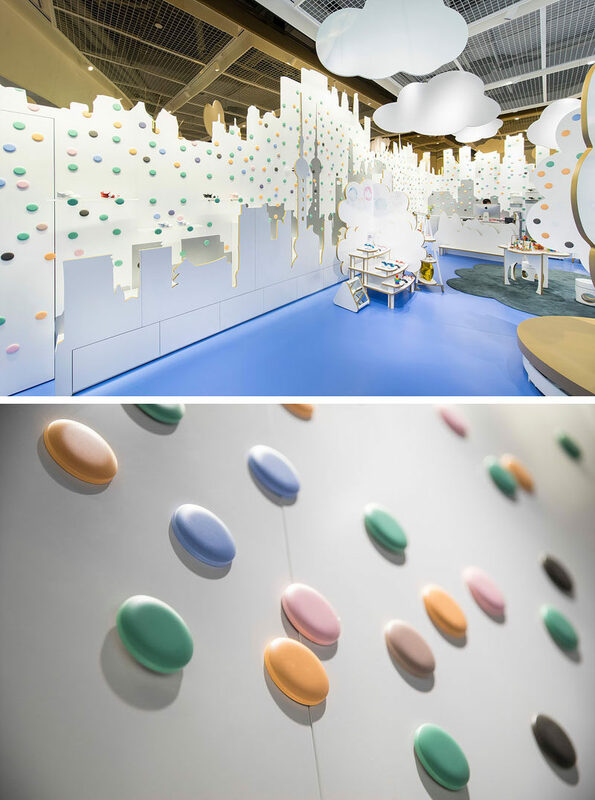 Inside the store, eight colors have been paired with white walls to represent Tim’s dream world. Simple frosted shelves placed on hangers allow the shoes to appear like they are floating. On another wall, metal shelves in the shape of an “L” are attached to the wall above a bench with a bright green cushion. By the service area, there’s cut-outs with gold painted edges and the white surfaces can be used by children to draw on, much like a whiteboard. There’s also a built-in nook for kids to sit in or relax. Continuing from the service counter to the front of the store is an abstract cut-out of the Shanghai street where Tim lives and is the symbol of the world in his dreams. Throughout the store, some of the colorful dots that adorn the walls are magnetic, allowing them to be switched out for shelving when needed.